Managed Print Services, she's a fickle beast. One minute she's with you on the dance floor, all yours. Three months laters, she's calling you for bail. Of course you go back. But you'll never introduce her to your parents; she's just THAT kind of girl. 130 millions sheets of paper lastyear, and a 1:1 printer to employee ratio is it any wonder UK would consider ANYBODY who talked the talk regarding reducing costs? Wait, who said that? The purchasing director said that? No way. ; additionally, it owns over 1,500 printers. The University creates approximately 130,000,000 impressions annually, of which an average of 90.5 percent black & white and 9.5 percent are color. 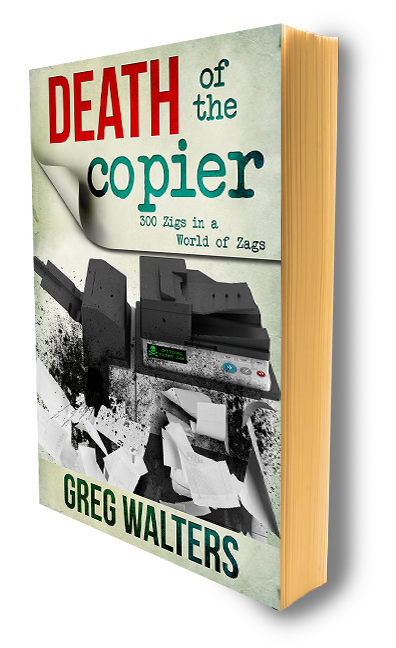 UK spends over $4 million annually on copiers, printers and toner supplies. Originally, the contract was going to be awarded on August 2, 2010, but the actual award date was in February 2011, six months later..."
I would have never imagined UoK going with anyone other then Lexmark - I was wrong. Read it here. And check this out. Full integration into your prospect. Nicely done. So, Ikon scores a big win with the Ricoh MDS group, congrats. There is pleanty of room for waste reduction, that is for sure. Now RiKON is dancing with the banshee. I wonder what the fleet will look like in 36 months.